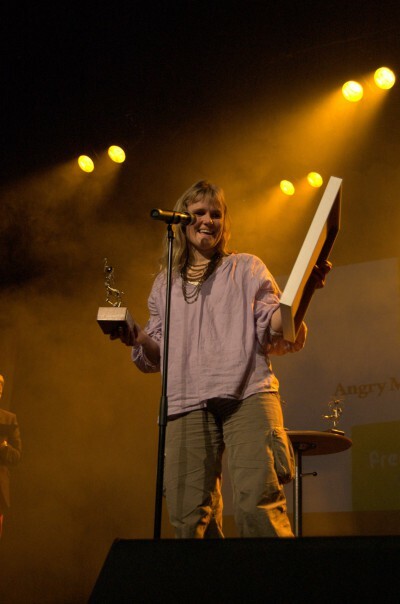 In 2009 Fredrikstad Animation Festival took place November 11th through 15th. Official guests were Annti Laakso (Finland), Jessica Laurén (Sweden) Max Hattler (Germany/UK) Ralph Eggleston (USA), Tarik Saleh (Sweden) Philip Hunt (UK), Noriko Okaku (Japan/UK), Nik og Nancy Phelps (USA/Belgium), Ivan Maximov (Russia), Tim Leborgne (Denmark/Frankrike), Joakim Pedersen (Denmark/Norway), Michel Ocelot (France) og Inni Karine Melbye (Norway). The opening of Fredrikstad Animation Festival 2009 was celebrated with a screening of the Swedish animated feature Metropia, voiced by Vincent Gallo and Juliette Lewis. The film was co-produced by Norwegian Tordenfilm, and was to be considered the biggest animated Nordic feature of 2009. 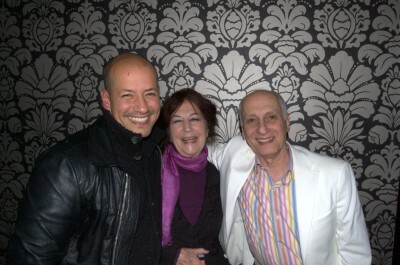 The film was presented by director Tarik Saleh and Norwegian co-producer Eric Vogel. 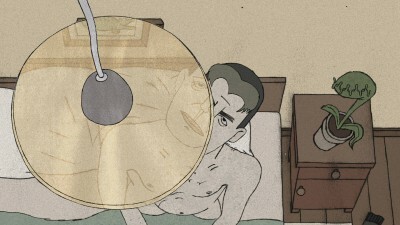 Over 150 films were submitted in 2009, and during the pre-selection at the Animation Volda festival 58 shorts were chosen to compete at the festivals competitive programmes. Friday November 13th a seminar on style and design in new animation was held at Fredrikstad Kino. Key speakers were Ralph Eggleston from Pixar, ‘Metropia‘ director Tarik Saleh from Atmo, and creative director Philip Hunt of Studio AKA. In Ralph Eggleston talk, he gave a general introduction to production design, and gave us an insight to the working process of a Pixar Animation Studios production. He used examples from various production stages from features like Finding Nemo, Wall-E and Up. The Swedish animated feature Metropia gained a lot of attention in the animation business for its original visual style. During the seminar, director Tarik Saleh talked about the idea behind the style, and how it evolved during the design process. Metropia’s head of animation, Isak Gjertsen, gave a presentation on the new technique and software used to make the film’s original look. Annecy-winner Philip Hunt gave an introduction to Studio AKA’s work and their way of working with production design. He presented pre-production work from some of the studio’s most important projects. 1.5 hour presentation of animation history, from the Flesher brothers to today, with emphasis on music and sound. Musician and composer Nik Phelps showed us his take on the animation history and evolvelemt by showing clips from various films. Max Hattler and Noriko Okaku met when studying together at the Royal College of Art. Even though their work is quite different, they still have some similarities in their experimental, semi-narrative, dialogue free- take on animation. Their newest production ”///” is a live performace, where Hattler and Okaku use a special technique using three screens. The performance had its world premiere during the festival, and was commissioned by Fredrikstad Animation Festival. In connection to his new film Lost and Found, Philip Hund gave a presentation of the process of making the film. The film is based on Oliver Jeffers critically acclaimed children’s book by the same name. The award winning Russian animation artist Ivan Maximov presented a retrospective of his production. Live music was performed by composer Nik Phelps during the screening of Ivan’s latest film, The Additional Capabilities of the Snout. The sequel to the 2002 animated feature about Pelle Politibil was presented at Fredrikstad Animation Festival 2009. The producer of Pelle Politibil går i vannet showed a sneak peek of some of the scenes from the upcoming film, and spoke about the making of the film. A collaboration between Det Norske Blåseensemble and E6 Østfold Medieverksted. Five composers from Østfold were invited to partake in the project Animert komposisjon. Children from Østfold and professional animators participated in making animated music videos to the composers music.During the festival’s last day the final results were screened, accompanied by live music by the Blåseensemble. Fredrikstad Animation Festival was produced by Norsk Animasjonsforum and festival director Trond Ola Mevassvik.